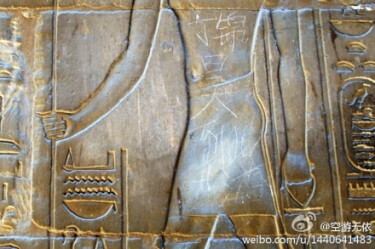 Chinese netizen “Kongyou Wuyi” who took a trip to Egypt recently, posted on his Weibo a picture of a fraction of a wall at Egypt’s Luxor Temple. On the wall, there goes “Ding Jinhao was here.” (Check the picture below) The post soon went viral. Many Chinese netizens felt shocked and ashamed. Offbeat China has translated some online comments into English.